Writing, for academic purposes, can become one of the most stressful tasks that any student s asked to do, and for the simple reason that most students are just not very good at it. That, however, is one of the most common misconceptions that students labour under. What is more is that it is as big as the fact that most of us labour under the perception that, to be a good writer, one has to be born that way. Writing from inspiration may sound like something truly amazing and magical and very inspirational also; it is not, in fact, something that most of us can claim that we are truly good at. The outline as well as the initial drafts are always the most boring parts of essay writing. Unfortunately though, they also happen to be the most important! Most students do not realise that writing without an outline leaves them unable to focus on what they want to include in their essay. Instead, with just about every possibility open to them, most students end up writing essays that are unfocused and, more often than not, unable to meet the requirements of the essay either. 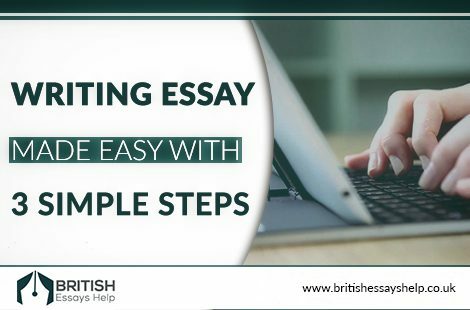 Instead, study the essay topic and then start to write an essay outline that not only meets each of the requirements set out by the teacher, but that also incorporates everything you would like to include in the essay. Starting the research work may mean controlling the Mr. Hyde part of yourself a lot more than usual. However, actually knowing when to stop researching is the much more important aspect that you need to master. Most students fail to stop researching and instead end up with so much information on their hands that they are flustered and confused as to how they should use it. Give yourself an hour or so for research and then start writing. Initially, you may have to force yourself to construct sentences, but you’ll find your groove soon enough! Finally, all work must naturally be proofread and edited accordingly before handing it over to the teacher. Most students writing in a flow, are unable to keep track of the simplest of mistakes that they make. This is where proofreading will help you out most. Essay writing can be very hard work for some though. So why not give yourself a break and contact British Essays Help instead?